Red Energy has teamed up with Qantas to offer two new electricity and gas products that bring bonus Frequent Flyer points. With the Qantas Red Saver and the Qantas Red Plus, customers can accumulate up to seven points for every single dollar spent on energy, after bagging up to 15,000 simply by taking up one of the two offers. It almost sounds too good to be true, so is it? Read on as Canstar Blue explains everything you need to know about Red Energy’s partnership with Qantas. How many Qantas points can I earn with Red Energy? Customers receive 10,000 Qantas Frequent Flyer points when they sign up their electricity with Red Energy. Customers in can also earn an extra 5,000 points when they sign up for natural gas with the retailer. This means customers could potentially earn 15,000 points by switching to Red Energy. After signing up, customers can then earn points simply by paying their power bills. The Qantas Red Saver plan gives customers 2 points per $1 spent on energy, while the Qantas Red Plus plan rewards customers with 7 points per $1. To receive these points however, customers must pay their power bills in full and on time. If you’re new to Qantas Frequent Flyer points, you probably have no idea what these points are worth. That’s why we’ve put together the below table using the Qantas points calculator. This table estimates how many points you will need when flying one-way from Sydney in economy class. As you can see, the maximum 15,000 points you can earn just for signing up with Red Energy isn’t quite enough to go jet-setting around the world. However, you will keep earning points provided you pay your power bills on time. That means your next holiday could be paid for courtesy of your energy company. The Qantas Red Saver is similar to Red Energy’s flagship products – the Living Energy Saver and the Easy Saver. It comes with a 10% discount on your entire energy bill and customers can earn 2 points for every $1 they spend on energy. Once again, you must pay your bills on time to receive both the Qantas points and the discount. So, how much can you expect to pay with the Qantas Red Saver? Below are estimated bills for customers on this plan in NSW, VIC, QLD and SA. Costs are based on three-person households and particular postcodes in each state, so use our comparison tool below for specific prices in your area. The Qantas Red Plus plan removes the 10% pay on time discount, but increases the number of points that customers can earn. For every $1 you spend on your electricity or gas bills, you receive 7 Qantas Frequent Flyer points. Once again however, you must pay on time to receive these points. So, how much can you expect to pay with the Qantas Red Plus? Below are estimated bills for customers on this plan in NSW, VIC, QLD and SA. Costs are based on three-person households and particular postcodes in each state, so use our comparison tool below for specific prices in your area. Which Qantas Red plan should I choose? The Qantas Red Saver and Qantas Red Plus share a number of similarities: They have the same rates, no exit fees and no contract term. The only downside to these deals is that they don’t include access to ‘Red Energy Rewards’. This is Red Energy’s rewards program that provides discounts and benefits to NSW and Victorian customers signed up to the Living Energy Saver. As we mentioned, the Qantas Red Saver includes a 10% pay on time discount, applied to the whole bill, while the Qantas Red Plus offers more points. This means that customers on the Red Plus plan will pay more for power, but these costs could potentially be recouped through savings on flights. 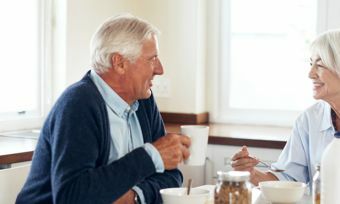 It is unclear if one plan offers better value than the other, so the best option for you really comes down to personal preference. And how often you fly! It stands to reason that customers who travel regularly may find the value proposition better with the Red Plus plan. What If I’m already a Red Energy customer? Red Energy is a flexible retailer with no exit fees, so there’s nothing stopping you from switching to a Qantas plan. Simply get in contact with Red Energy over the phone or through the website and ask to switch to a Qantas Red plan. If you already have a Qantas Frequent Flyer account, then be sure to have your account number handy to connect link your energy account. Is a Qantas Red deal right for me? The Qantas Red deals provide an exciting way to be rewarded for paying your power bills, but that doesn’t mean you should dive right in. If you’re already a happy Red Energy customer, then consider whether you’re willing to lose Red Energy Rewards to earn Frequent Flyer points instead. If you’re with another retailer, then be sure to check Red Energy’s rates as well as our customer satisfaction ratings to make sure it’s the right retailer for you. 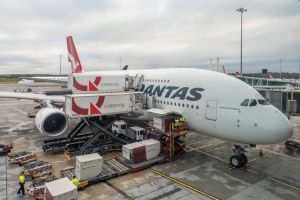 The Qantas partnership is certainly going to appeal to some consumers and earning extra rewards when you pay for energy will no doubt help to soften the blow, especially when you get a large bill! But try not to let the offer completely cloud your judgement – it’s still important to compare plans on normal prices to make sure you’re getting a good deal overall.